Learn the correct way to trade! Step 2 Foundation – Trading Tools cont. Click on the highlighted schedule items above to learn more. There are very few undeniable truths about trading. This is one. Many people attempt to trade and many people fail. Fact. Very few active traders over the long-term are profitable. Yes, they can have periods of profitability, however over the long-term they’re not. The world of active trading is an unforgivable universe of disappointment. Regardless of traders’ conscious belief as to why they fail, whether it’s due to anxiety or a poor strategy, the result is the same. Regardless of their attempts to remedy their situation, whether it’s reading trading books, joining trading forums, asking others for advice or attending training programs, the result doesn’t change. With the correct knowledge and tools anyone can learn to trade successfully. You just need the correct knowledge and tools. I’m pleased to announce that I have been invited by Hongyuan Futures to present my Pathway to Sustainable Trading program at the Peking University, Beijing, China. If you’d like to learn the proper way to become a successful trader, one who is not only profitable this year, but profitable in the years ahead, then you must attend my presentation. In this exclusive weekend training program I, Brent Penfold, a 30 year veteran of the markets and author of the international best seller The Universal Principles of Successful Trading, will be pulling back the market’s veil to reveal how to become a profitable trader. A confident trader who is not only profitable this year, but in future years ahead. Over an intensive 2-day weekend training program attendees will learn my pathway to sustainable trading. is not the sugar coated fantasy many books portray about trading. proper tools for trading success. Attendees will learn there are no short-cuts to profitability and that hard work is required to be successful. I firmly believe anyone can become a successful trader if they follow a sensible program like my Pathway to Sustainable Trading course. In my course I do not just discuss fully disclosed trading methodologies. Yes, I will be teaching strategies, however I will also be discussing much more. I feel traders require “context” before they can accept someone else’s strategies. With context they will understand where and why a methodology is designed and will more likely follow the strategy. So my objective is to take traders on a journey of discovery and understanding. Discovery will enlighten traders as to the real reasons why so many traders struggle to succeed. Understanding will reveal to traders what doesn’t work in trading and why and on the flip side what does work and why. Those who wish to trade will need to empty their minds of much of what they have already learnt and read about trading. It’s an unfortunate truth that the majority of trading books and trading education is littered with picture perfect charts and cherry picked trades that do not reflect the real world of volatile markets. They have to become aware that trading requires effort, doesn’t offer short-cuts and can be a source of great disappointment to the naive. It has to be eyes wide open. 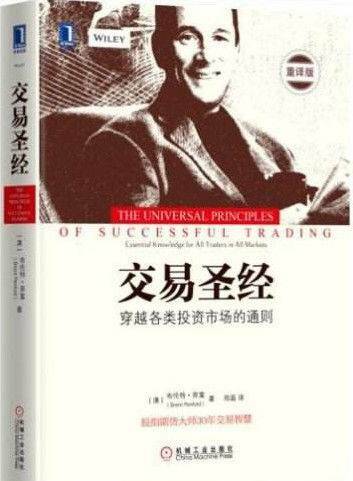 Every trader needs to be fully cognizant of the universal principles of successful trading. They need to know the key pieces of market knowledge that all successful traders understand. Knowledge that is mandatory if one wishes to be successful where so many fail. Just like a house needs to be built upon a strong foundation so does a person’s trading career need to be built upon proper trading knowledge. At this point of their journey attendees will have discovered the real reason why so many struggle to trade successfully, and contrary to what many trading books and trading educators will tell you, it’s not to do with your personal psychology! Technical Analysis is full of many tools that are designed to help the trader. Unfortunately not every tool is useful. To help attendees navigate their way through the complex world of technical analysis I will first discuss the strengths and weakness of traditional trading tools before revealing my proprietary Universal Tool Kit. Which indicators are the most popular. Which individual indicator is used by more traders then any other. Which patterns are the most popular. Universal Indicator – The best there is! Once a trader has a solid foundation of proper trading knowledge its time to put it all together and develop an evidence and rule based trading strategy. Strategy development commences with a review of the key attributes of winning strategies. I will take attendees through each key attribute so they become familiar with what’s important in a developing a trading strategy with a stable equity curve. To demonstrate the correct approach to strategy development I’ll then create two trading methodologies from scratch only using the universal tools. These demonstration strategies will highlight the correct approach to minimizing the risk of curve fitting. However attendees will not be learning only two strategies, but multiple strategies. A common mistake traders make is to focus on a single strategy trading a single market. Unfortunately it’s rare for a strategy to make money ever year, year in and year out on the same market as markets alternate between states of trending and choppiness over bull and bear market cycles. Successful traders know the benefit of diversification so they will trade multiple strategies over multiple timeframes over a portfolio of multiple but diverse markets. The short-term strategy will be ideal for people looking to trade the CSI index futures contract. Execution is where theory converts to action. It’s where traders need to execute their trading according to their evidence and rule based trade plans. It’s where the rubber hits the road. It’s where the hand-to-hand combat starts. It’s where the excuses end. No more ifs or buts. There is no more time for scapegoating. It’s where the trader takes responsibility for themselves, their account balance and their destiny. If you are looking to restore your confidence and bring certainty back to your trading then this is one training program you cannot afford to miss. Take advantage of this exclusive training program to learn in 2-days much of what I have gained from 30 years of trading experience! Don’t delay, book your seat now as places are filling up fast! From time to time I hold Workshops. When one is planned I will highlight it here.